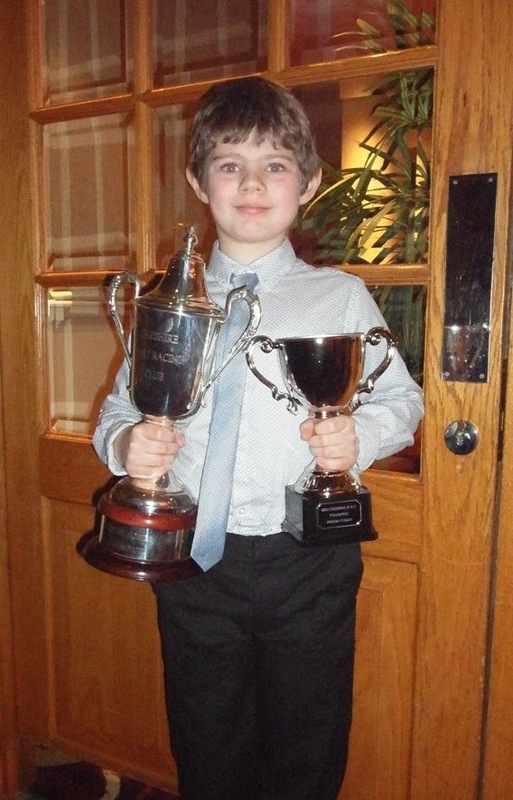 The Cheshire Kart Racing Club 2013 Championship presentations took place on Saturday 18 January. Samuel collected the Honda Cadet title and was presented with the winners trophy inscribed with his name (he is the first Honda Cadet winner! ), a trophy to keep and also a large colour print of him on track.